We fly into Madrid but since we have been there before, we won’t spend too much time there this trip. So our first real stop will be Caceres, a town about 3 hours west of Madrid. It’s a beautifully preserved Medieval city with so much history. Stop No. 2 : Merida: A city full of Roman Ruins just a little South of Caceres. Stop 3: Sevilla: Known for its Flamenco dance. I hear Casa de la Memoria is the place to go. Next Stop: Tangier, Morocco via Gibraltar, Spain and down to Marrakech. My son wants to take a camel ride through the Sahara from Marrakesh to Fez… And so enters the adventure. Next: back North to Malaga, Spain. 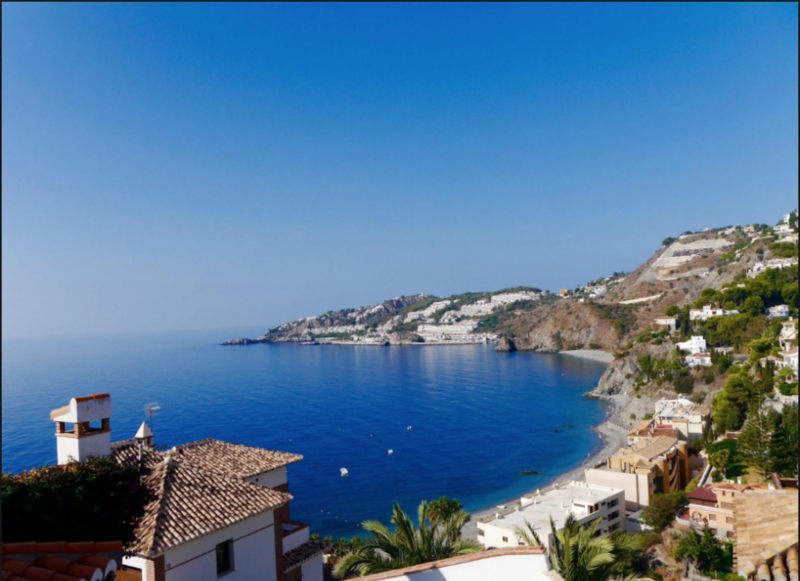 I, of course, will stop in a little town named Almunecar which is about an hour East of Malaga. I fell in love with this little town on the Southern coast of Spain. We will stop in Granada on our way back to Madrid.